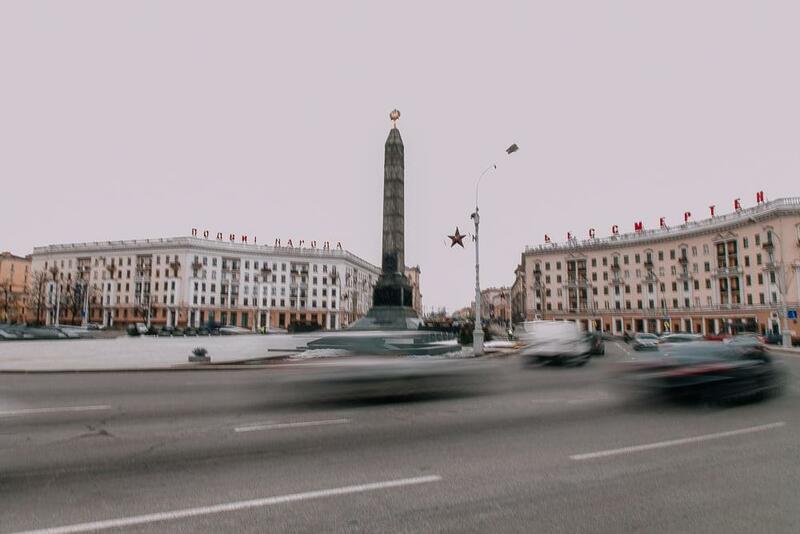 My obsession with visiting Minsk eventually became a bit of a joke amongst my friends. If anyone ever suggested a weekend away somewhere I’d beg them to go to Minsk with me, but they always found a reason to choose somewhere else instead. Dan finally did agree to include Minsk in our backpacking trip in 2015, but something about not being able to get visas in our home countries later, I found myself on a bus bound for Ukraine instead. And so I decided to visit Minsk solo in December of last year. 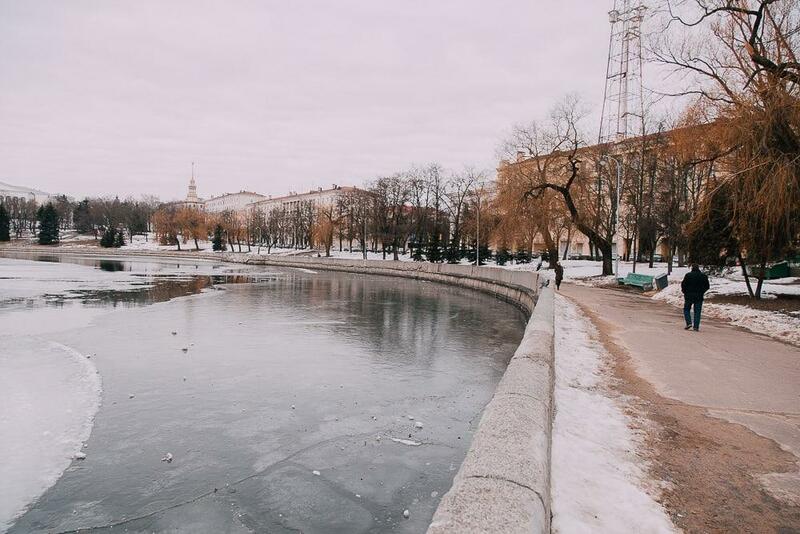 But then other trips came up and I realized that Minsk simply wasn’t meant to be. Until, that is, one night at dinner my phone lit up with a Facebook message from Danielle asking if we couldn’t maybe squeeze in a trip to Minsk at the end of our journey from Japan to Russia. And guys, Minsk did not disappoint. 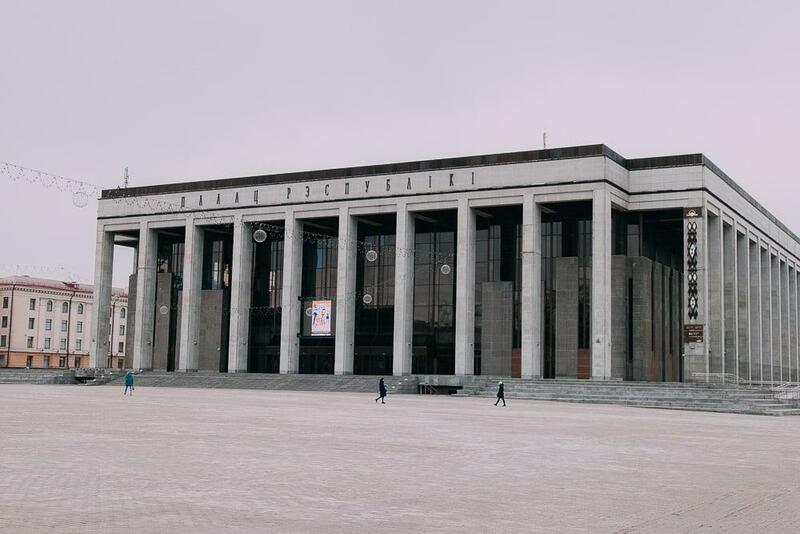 Some of my friends may be disappointed, however, if they thought this Minsk trip would be the end of my pestering them to go to Belarus with me. Sorry guys, but Belarus is amazing and I simply can’t bear the thought of you not getting to experience it, so we are definitely going together. If you’re wondering why I was so eager to visit Minsk, the answer is the people. Every Belarusian I’ve met has been the nicest person I’ve ever met, so spending a vacation surrounded by Belarusians seemed like it would have to be the best thing ever. If you’ve ever met any Belarusians before you’ll know exactly what I’m talking about. Danielle and I ended up meeting up with a bunch of different people through Couchsurfing (if you read what I said about Couchsurfing being alive and well in Russia, know that the same applies in Minsk). 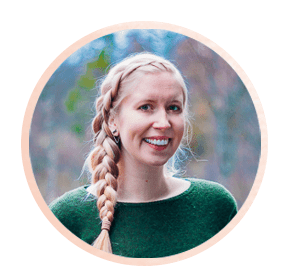 In fact, we ended up not having enough time to meet up with everyone who reached out to us through Couchsurfing – is this what being popular is like? Seriously, I cannot get over everyone’s hospitality in Minsk. There was the couple who drove us around to all their favorite spots in town while telling us about the country’s history and funny anecdotes from life in Minsk, and then there was the guy who randomly offered to pick us up from the airport because he enjoys the drive. Uh, what? So we actually rocked up at Minsk International Airport to be met by our new friend, who took us to our Couchsurfing host whom, oh funny, it turned out he totally knew from going to the same music gigs around town. 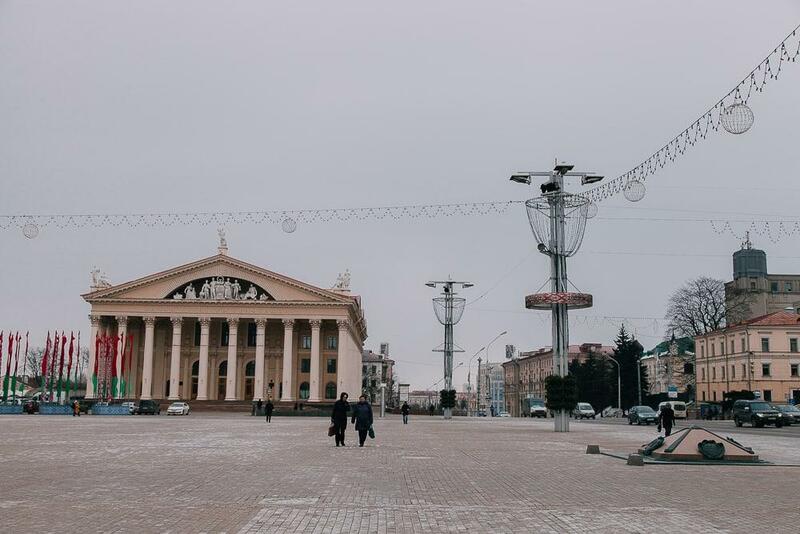 In fact, I’d go so far as to say if someone visits Minsk and doesn’t love it, they must not have met the right people – basically, anyone at all. 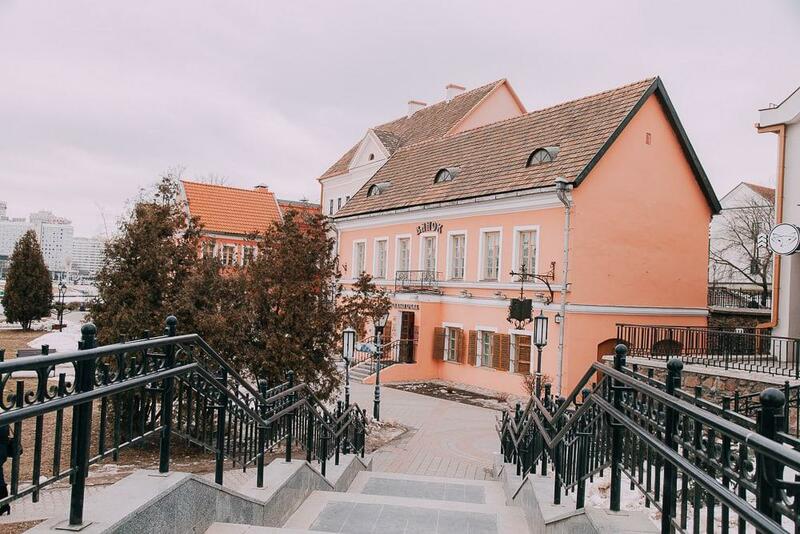 If you are staying in Minsk for a while and want a place of your own, check out the many super affordable options on Airbnb, like this apartment in Victory Square, this apartment with high ceilings, or this gorgeous apartment near Akademia Nauk station. 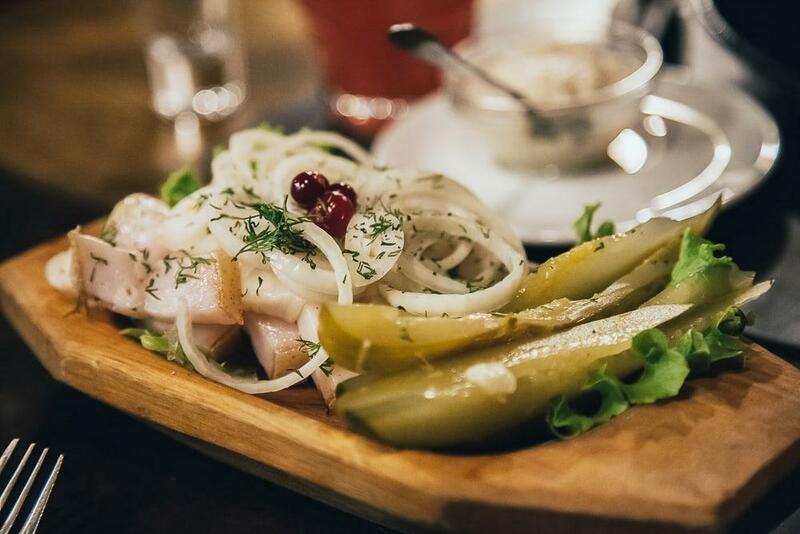 From cute hipster cafés to indie film screenings to underground music shows, there’s a lot going on in Minsk to keep young people entertained. 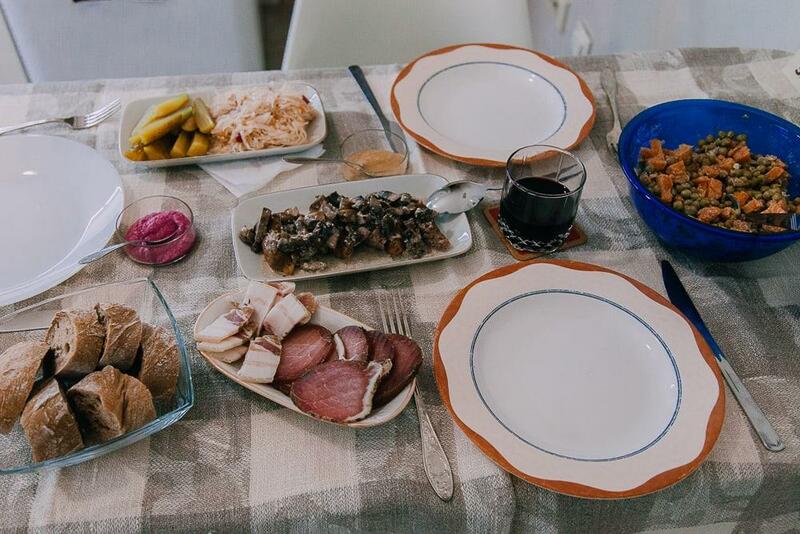 Now, before you start packing up your home to move to Minsk I should probably acknowledge that there’s a lot to make life there a real pain, but Belarusians seem to be quite practiced in finding humor and joy in life’s pains. When I was younger I would try to read Norwegian news sites for a more neutral perspective on world events than US media was providing, but then I moved to Asia and realized that oh wait, Norwegian media is also totally biased. Of course, it is. But while it will always be impossible for any one perspective on world politics to be truly unbiased, if anyone can get close I think it’s Belarus. 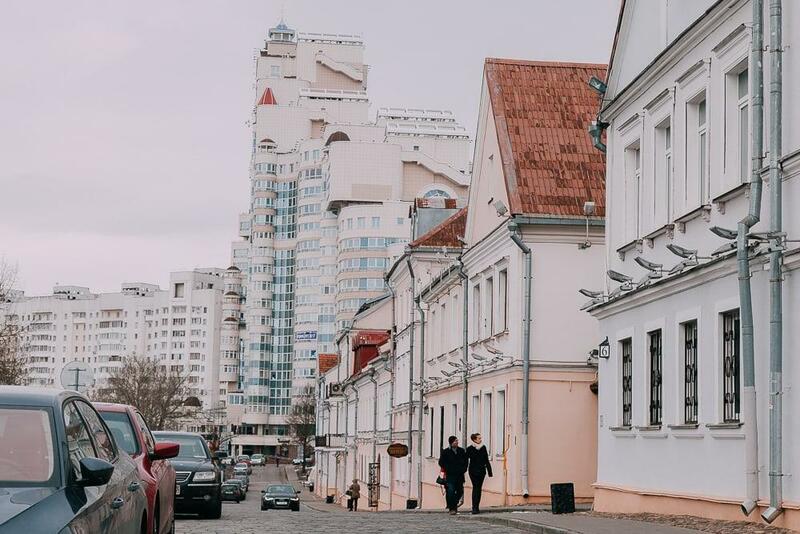 With one shoulder reclining against Russia and the other brushing Europe, Belarus is friendly with both, but also very much an outsider. I hadn’t realized the significance of this until my first (of very, very many) late-night talks with my Belarusian friends about the state of the world. I honestly think that if a path to world peace exists, it’s going to be a Belarusian who finds it. 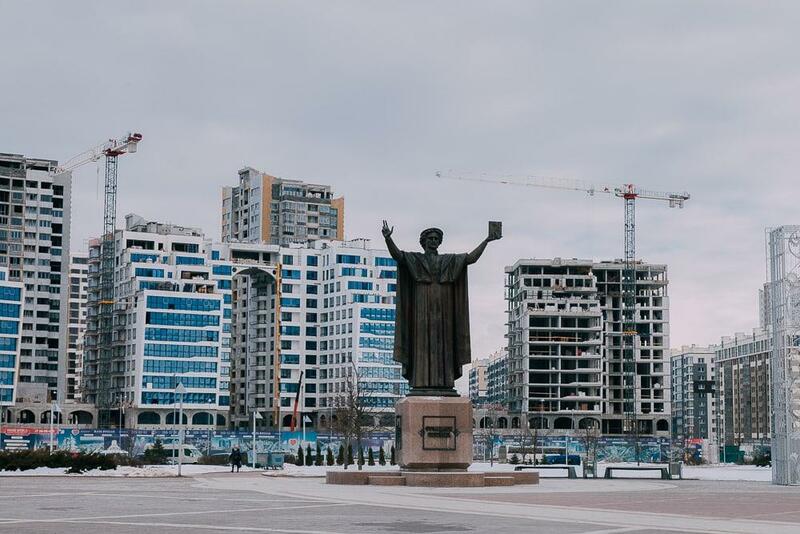 About 80% of Minsk was destroyed in World War II, which meant that the city was rebuilt in the 1950s with the towering Soviet-bloc buildings that Stalin loved. 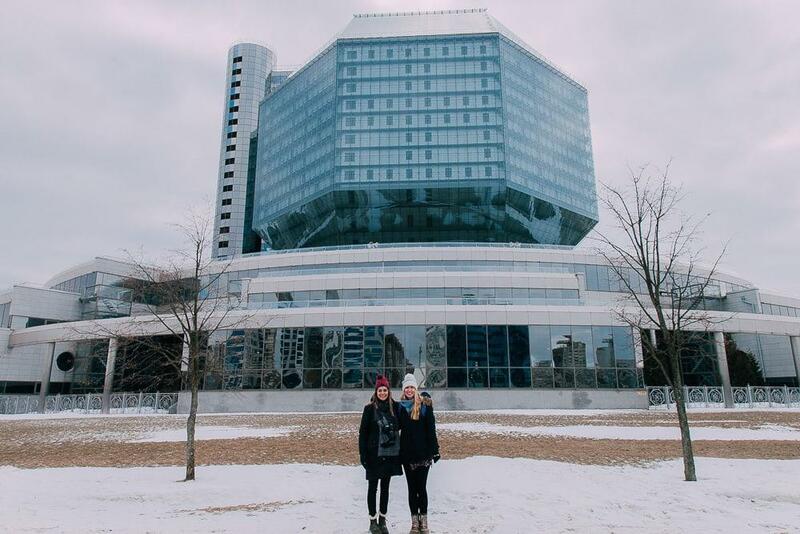 This has made Minsk famous for its Soviet architecture, with big concrete buildings and wide avenues, and many hail Minsk as the most perfect example of a Soviet city, even claiming that the isolated dictatorship is frozen in time. 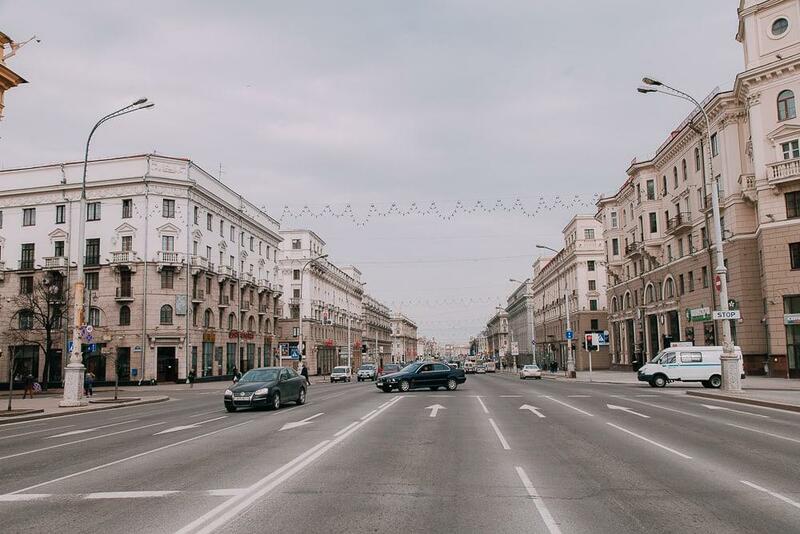 Except Minsk hasn’t frozen in time, and I was surprised by how much of the old Belarusian architecture was intact in downtown Minsk, as well as how many new buildings have popped up around the city. 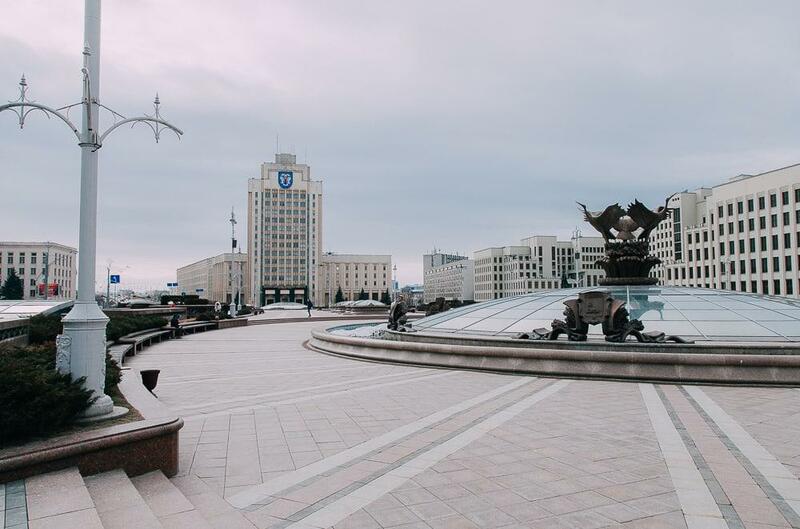 Minsk is definitely more than its brief Soviet past. 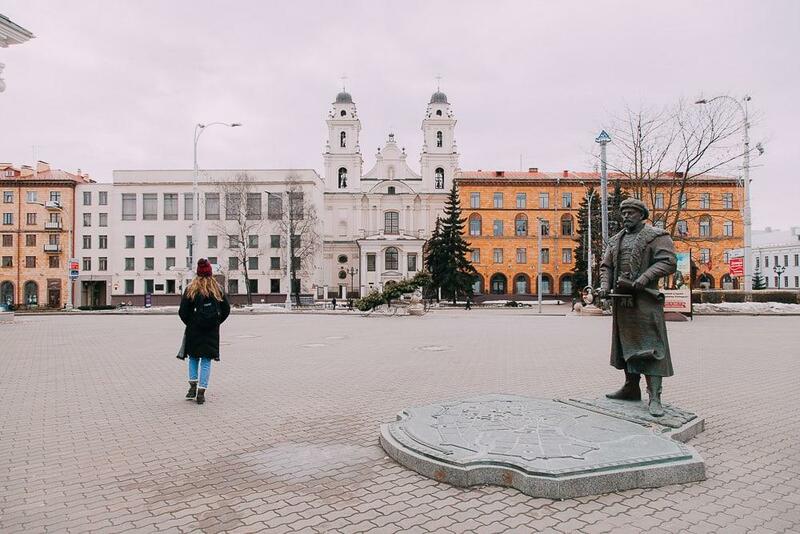 If you want a more guided tour around the city’s architecture, try this private 3-hour walking tour around the Minsk’s major landmarks or this driven private tour. 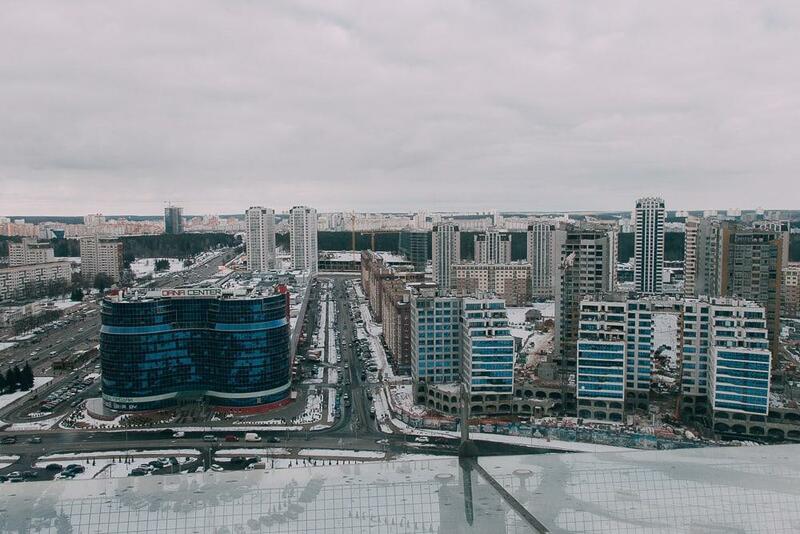 Then again, if concrete is your thing, you’ll find a lot to love about Minsk. 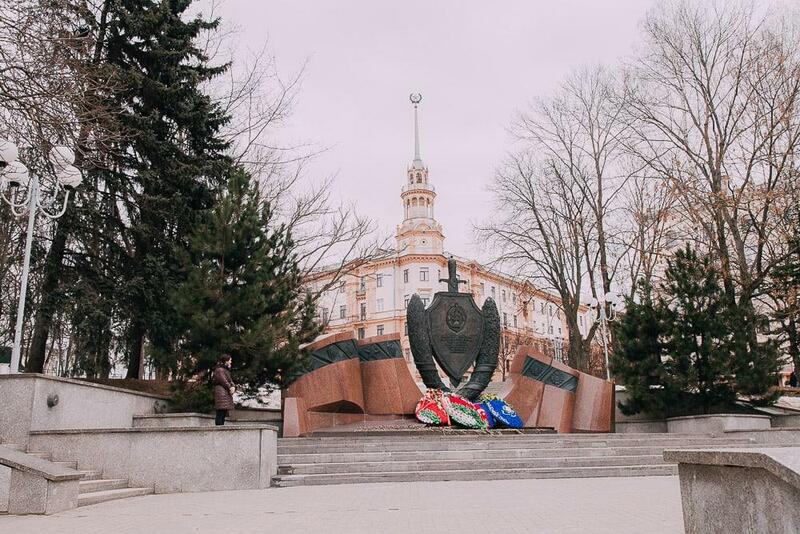 And if you are interested in Minsk’s Soviet history, check out this tour. 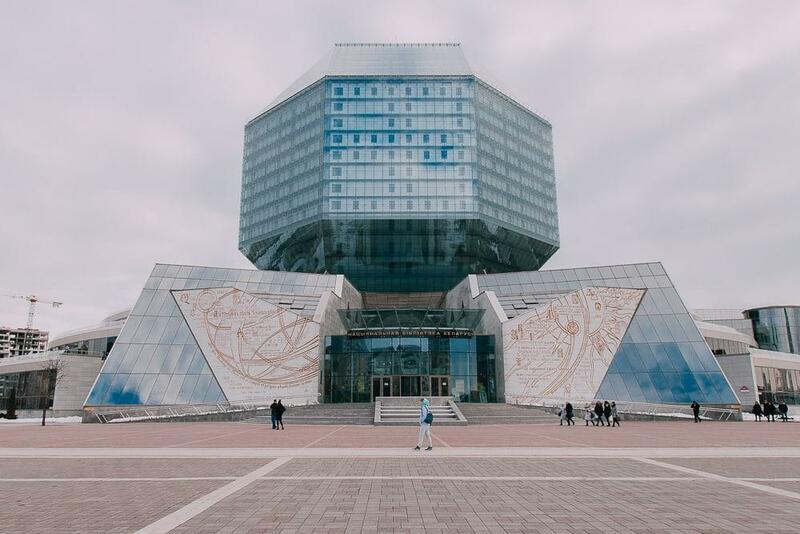 I thought the National Library of Kosovo would forever be the most bizarre library I’ve ever seen, but leave it to Minsk to go one step farther. 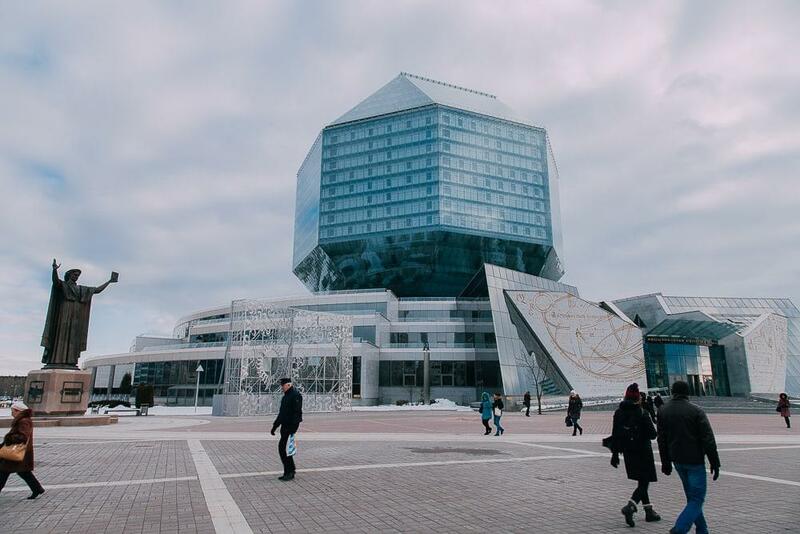 Not only has the National Library of Minsk been built as a baffling rhombicuboctahedron sitting on top of, I don’t know, wings?, but it’s even fitted with LED lights that project colorful patterns at night. And a mere three years after its completion in 2006, the library was named one of the world’s ugliest buildings (a title which, a decade later, it still retains). But personally I really love the library, and the inside is super cozy! 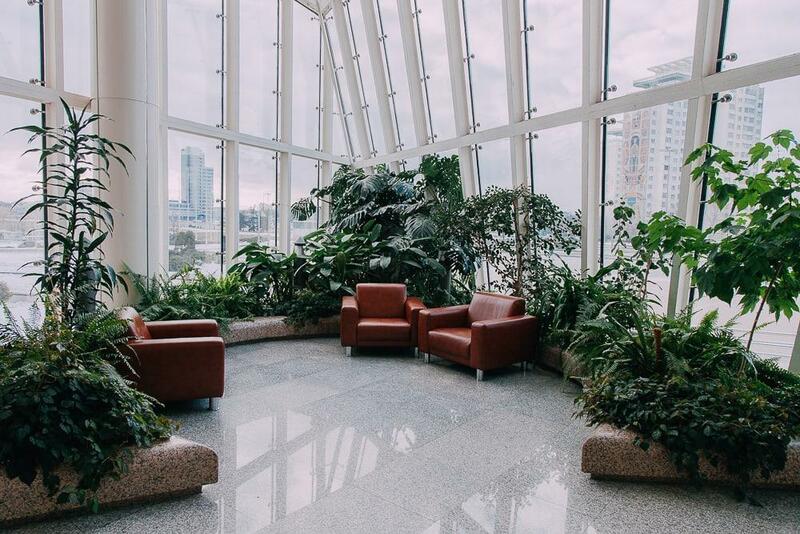 Plus, if you go around to the back of the library you’ll see an entrance to a sky deck, which is one of the only places you can see Minsk from above. 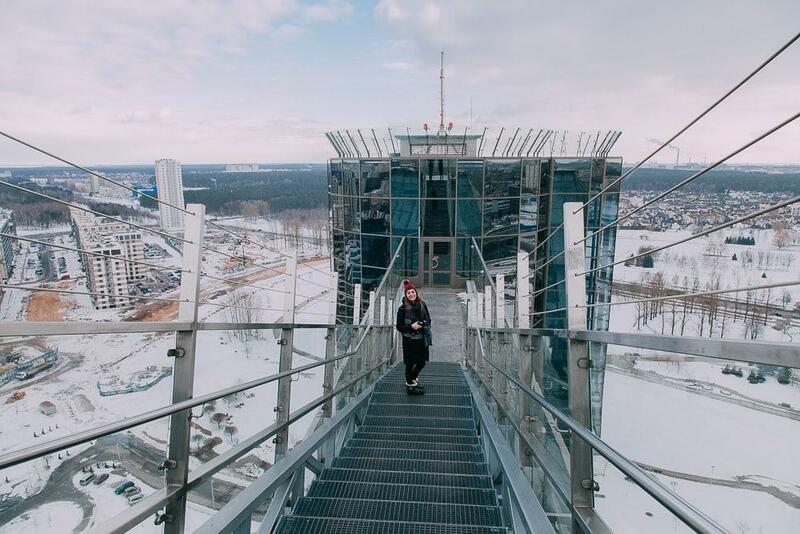 The sky deck offers views of the Minsk suburbs, which aren’t exactly the most beautiful parts of the city, but it’s still fun to see Minsk from a new perspective. Okay, if there’s a downside to visiting Minsk it’s that you’re pretty much guaranteed to leave a few pounds heavier than when you arrived. At least that’s what happened to me. And now bear with me while I proceed to go on and on about the food and restaurants in Minsk. I’m a big fan of anything featuring potato, and Belarusians really know how to wield a potato. 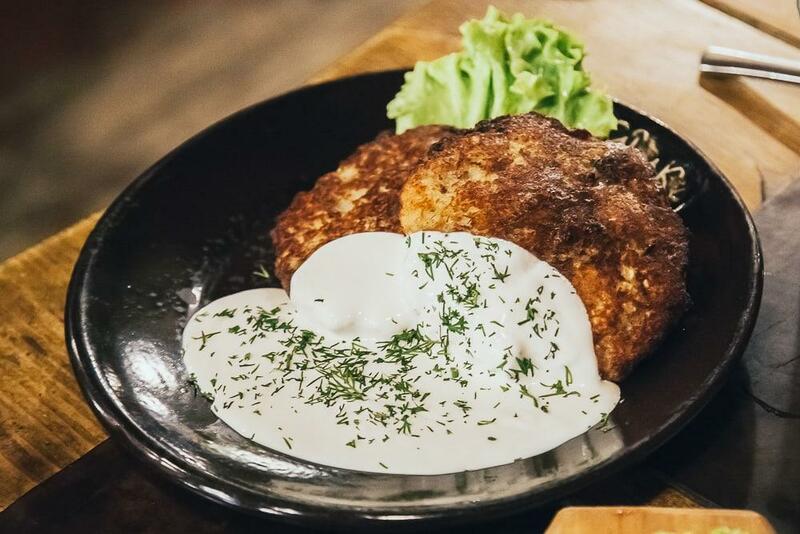 In fact, Belarus is said to be home to the original latke, and their draniki really are the best potato pancakes I’ve ever had. Like ugh, I need to buy a cheese grater because I’ve been craving these potato pancakes like nothing else. You can keep your vodka, Russia, Belarusian samagon has you beat. It’s essentially moonshine, but like, very pleasant moonshine, if you can imagine such a thing. 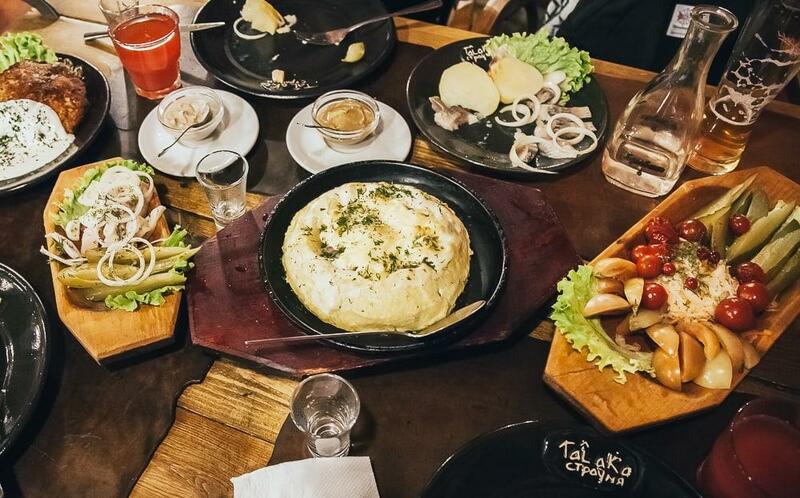 Probably the best meal I had in Minsk was at Talaka, a traditional Belarusian restaurant in the city center. Our friends said this is a favorite amongst tourists, as the food is delicious with traditional decor and live music. I would have happily eaten here every night. We stopped at Grai Cafe with a lovely couple we met (through Couchsurfing, of course!) to sample some nastoiki, which are fruit infused alcohols. Most of them weren’t too strong, so they’re a nice option if you’re not really a fan of the taste of alcohol. And again there was live music here, and folk dancing! I also credit Grunwald with curing the cold that had plagued me since Moscow, with their horseradish-infused nastoika shot. 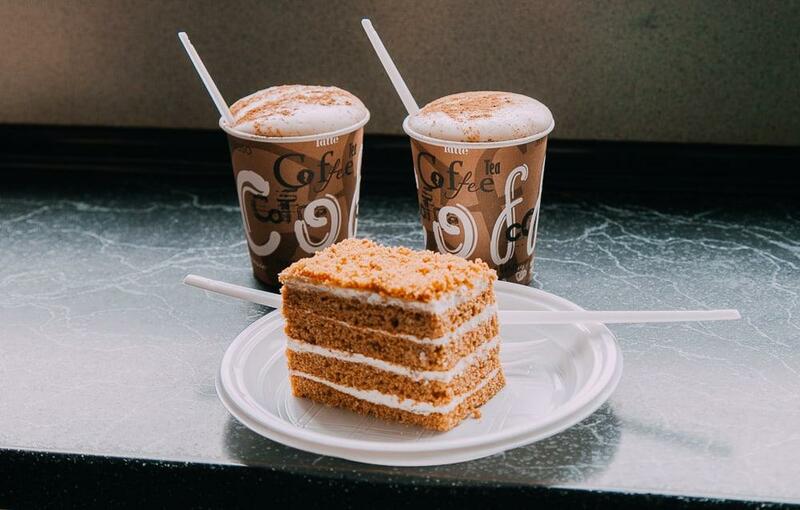 If only I could fly to Minsk for one every time I was feeling under the weather. 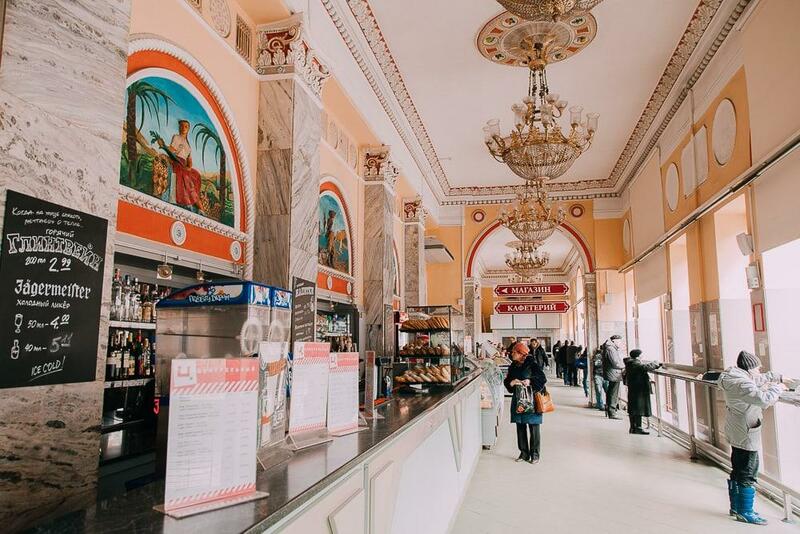 Okay, it might be a bit hard to get in here, but if you can find a local to take you, try and see if you can have lunch at the cafeteria inside the Palace of the Republic. Technically it’s only for people working in the building and surrounding area, but our friend sweet talked us in. I mean, it’s just standard cafeteria food, but I happen to be a big fan of cafeteria food, especially when served in such an interesting setting (you can see a clip from inside in the video at the start of this post). 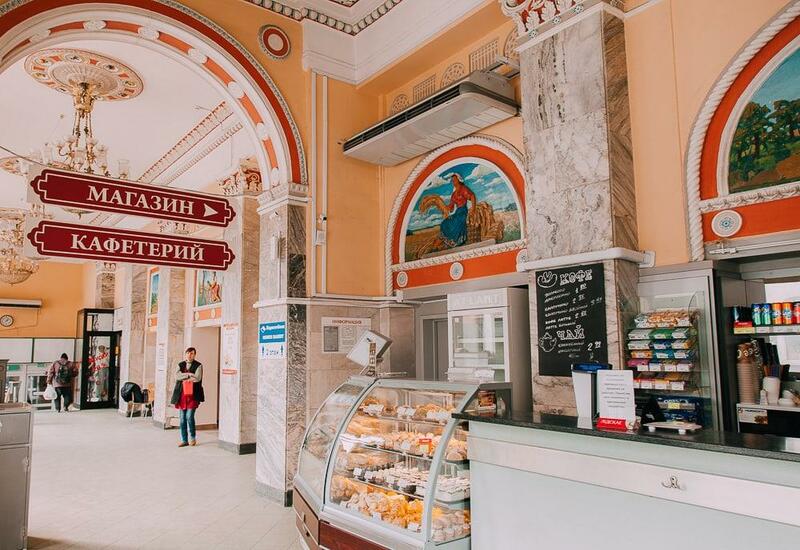 Lol I feel like if any locals are reading this they will think some of my favorite things to do in Minsk are totally weird – like, eating at the Palace of the Republic cafeteria and visiting Centralny, really? But I guess tourists are often excited by odd things. At any rate, I really loved the Centralny Snack Bar! The interior is gorgeous, and as they sell pastries and snacks, as well as alcohol, I saw an interesting mix of people here, from students to old ladies to diplomats to drunken men. Apparently late at night, the mix becomes even more interesting. 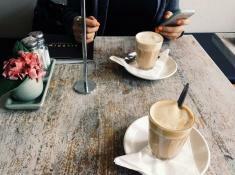 Oh and I can recommend ordering a “Coffee Oskar,” which is coffee, cognac, and egg white. I also had some cake and one of their famous hotdogs topped with grated carrot. 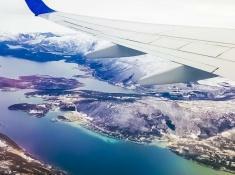 Belarusians need a visa for most international travel, which means that they have a real appreciation for travel – and travelers. 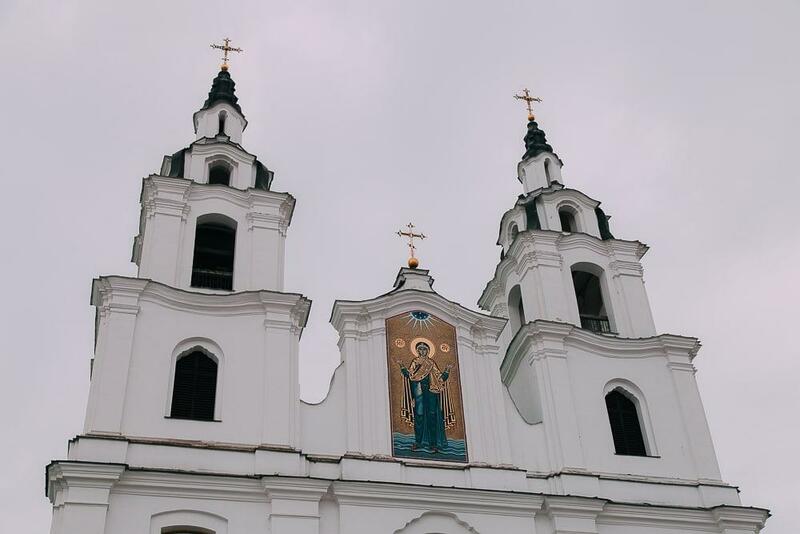 I had the best conversations about travel with my new Belarusian friends, and everyone also seemed to really appreciate that I had made my way to Belarus. 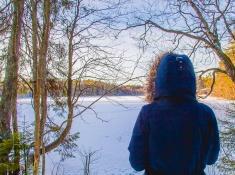 Belarus recently started allowing many nationalities (including Americans and Norwegians) to visit for up to five days visa-free if you fly in and out of Minsk. I believe the Grodno region near the Polish border is also visa-free, and I’ve heard rumors that soon they’ll extend the period to ten days, which would be amazing as five days in Belarus was far too short! 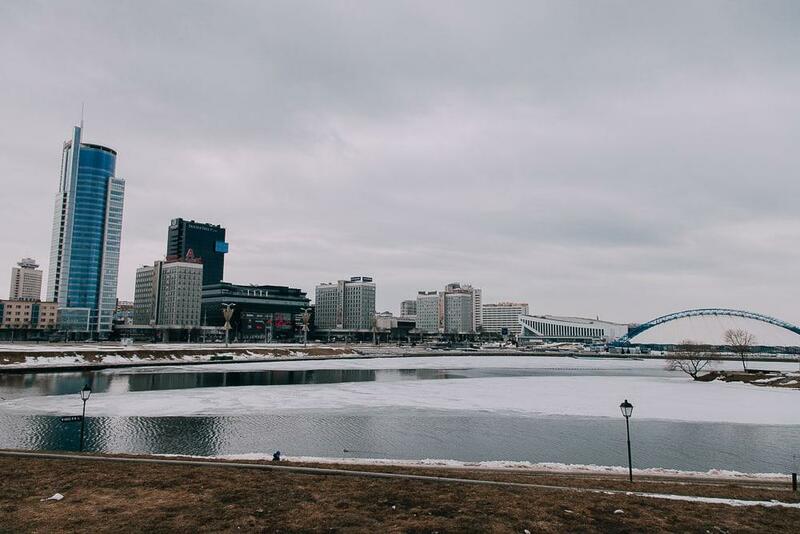 I think the first thing everyone I met in Minsk asked me was “why are you here?” followed by, “what do you think of Belarus?” So if you want to feel like people care what you think and your opinion matters, go to Belarus. 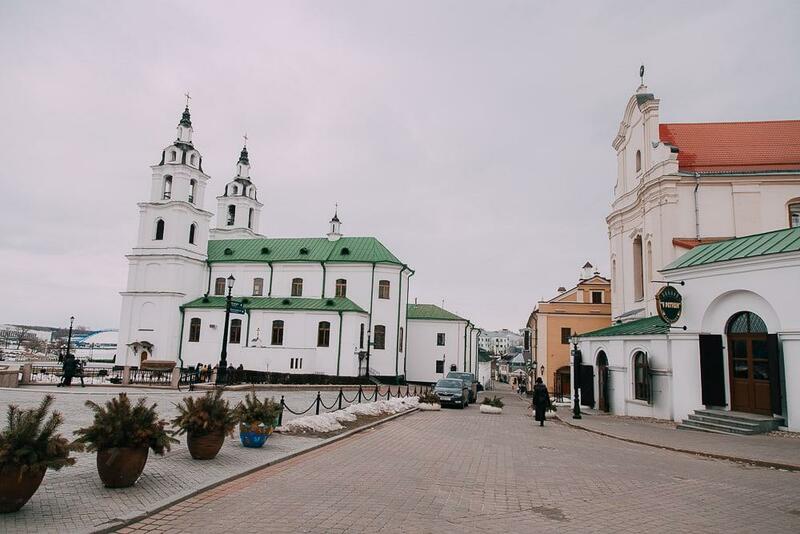 Minsk is a super short and cheap flight from Vilnius – I think my ticket cost $35 – and thanks to AirBaltic, Vilnius is a cheap flight away from lots of European cities. While prices in Minsk are alarmingly high compared to the average wage, most other Europeans will find Minsk quite budget friendly. It’s not as cheap as Ukraine and Albania, but definitely easier on the budget than a lot of Europe. It might not be as grand as the Moscow Metro (is any metro in the world as grand?) 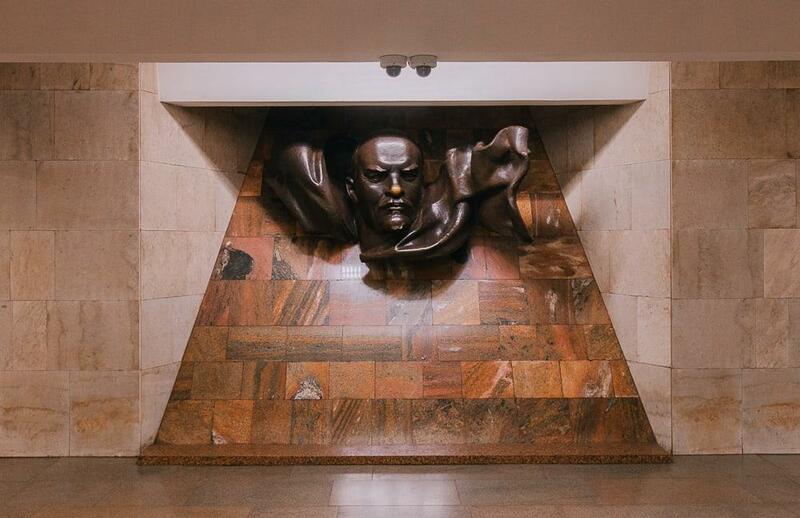 but there was something I really loved about the Minsk Metro. I felt sort of like I was on a movie set whenever I went down into the stations. I’ll admit, there were many things I expected to love in Minsk. But I hadn’t anticipated all the amazing parks! And now I can’t wait to return in the summer, because I imagine they’re even more beautiful and lively when it’s not below freezing out. I randomly stumbled on this Finnish clothing shop in downtown Minsk? I don’t really understand, but something about it seemed worthy of this list. With only five days in the country I only had time to visit Minsk on this trip, but next time I definitely want to see more of Belarus! 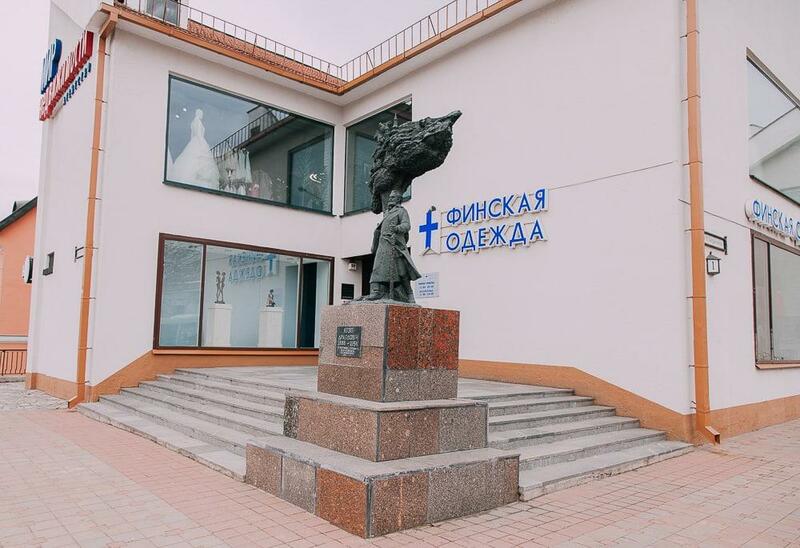 For now, I had to make do with visiting the Mini Belarus museum, where I could see miniature replications of some of Belarus’ most famous attractions. 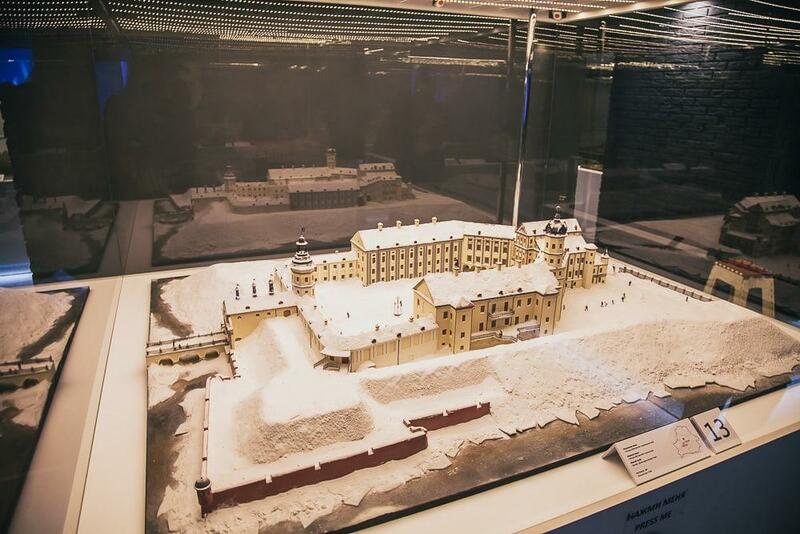 While some are no longer standing, I was surprised by how many beautiful castles and World Heritage Sites can still be visited around Belarus, and I hope to see some of them soon. So, are you convinced? When should we go to Minsk? 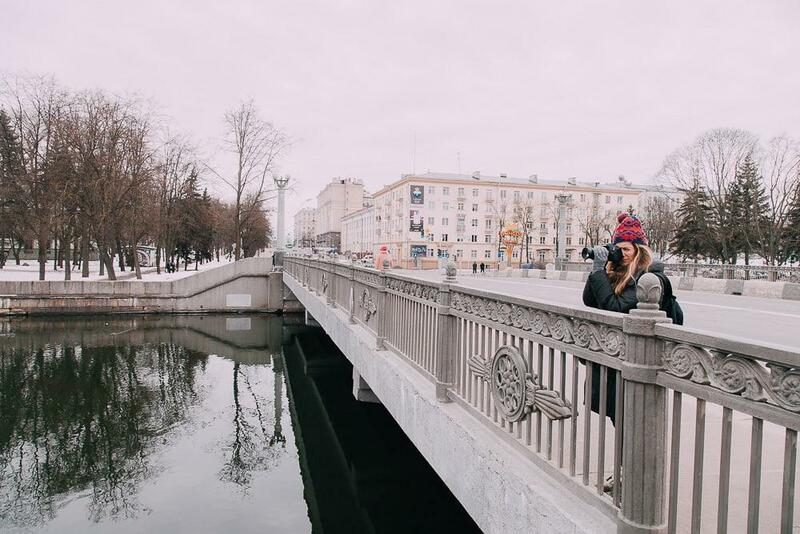 When I first came to Minsk, I wanted to get to know the city better. 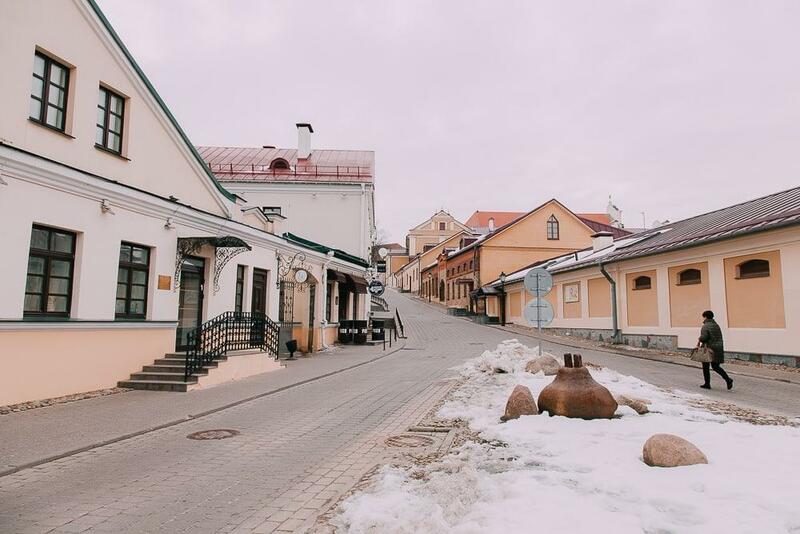 I found a sightseeing tour in English on the Vetliva portal. Well done, that for foreigners organize such trips. 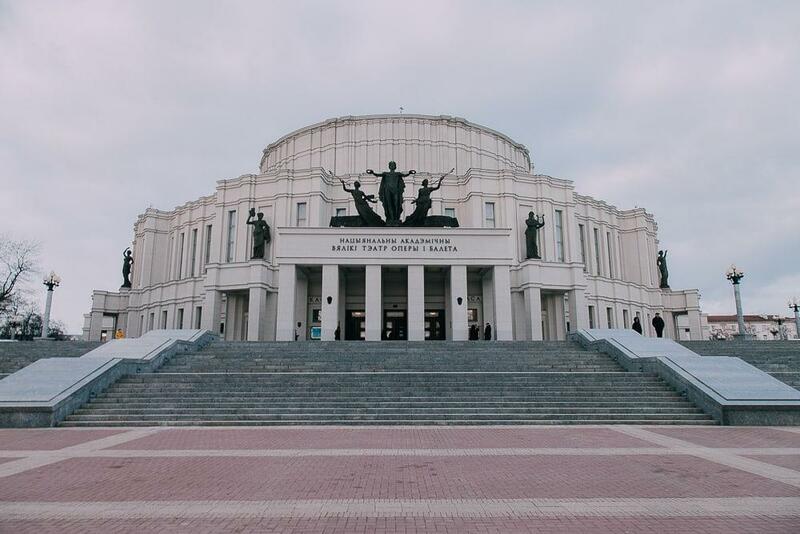 Thank you for your kind words about Minsk. 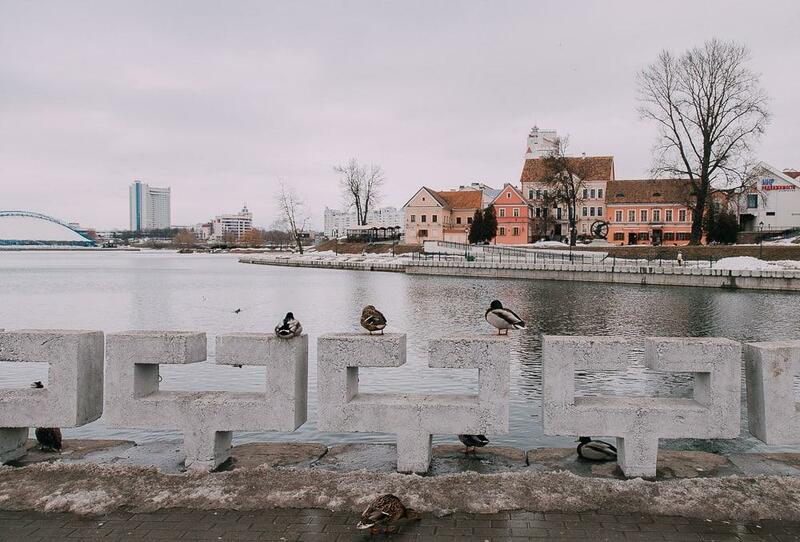 It’s one of the nicest articles about Belarus I have ever read. I live almost 16th years in England and every year at least twice a year I try to visit Minsk. Please come back on summer for a completely different experience (still a nice one of cause 🙂 ). Brilliant water parks, Park Gorkogo (Gorky Central Park) with a 56 meters high Ferris wheel ,Park Chelyuskintsev and Belarus State Circus are waiting for you!!! 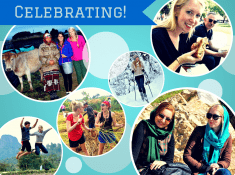 A great place is now much, much better: since August visa-free travel is up to 30 days! I don’t know if Belarus can solve world peace, but my Belarusian GF may help bring peace to two warring ex-spouses!